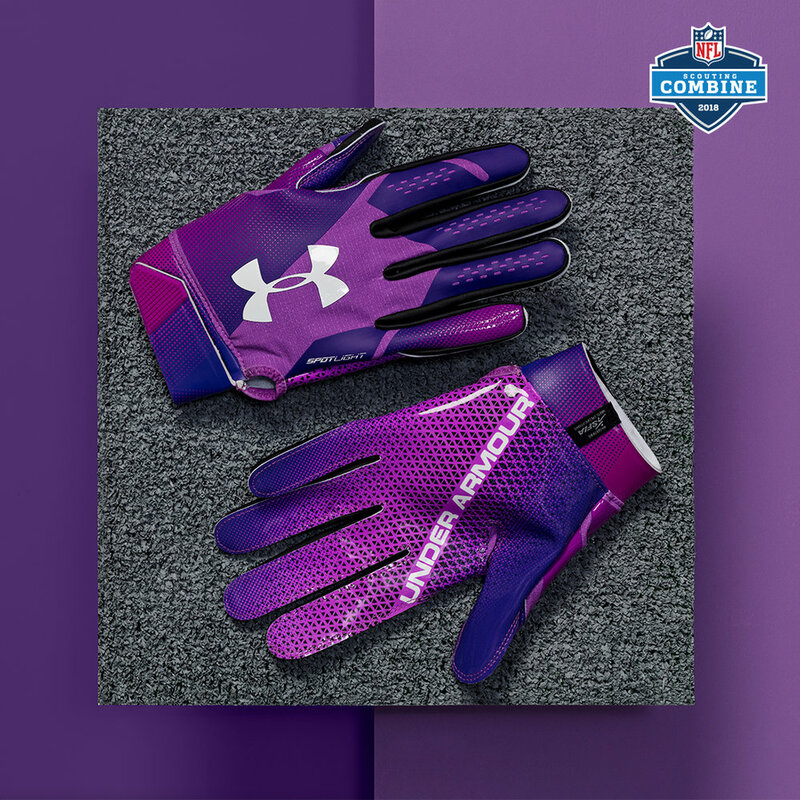 The 2018 NFL Combine gear is presented by Under Armour. This year's gear will feature a black and purple color scheme throughout all the on-field and off-field gear. The letters and numbers will differ in colors to help differentiate between each position group. 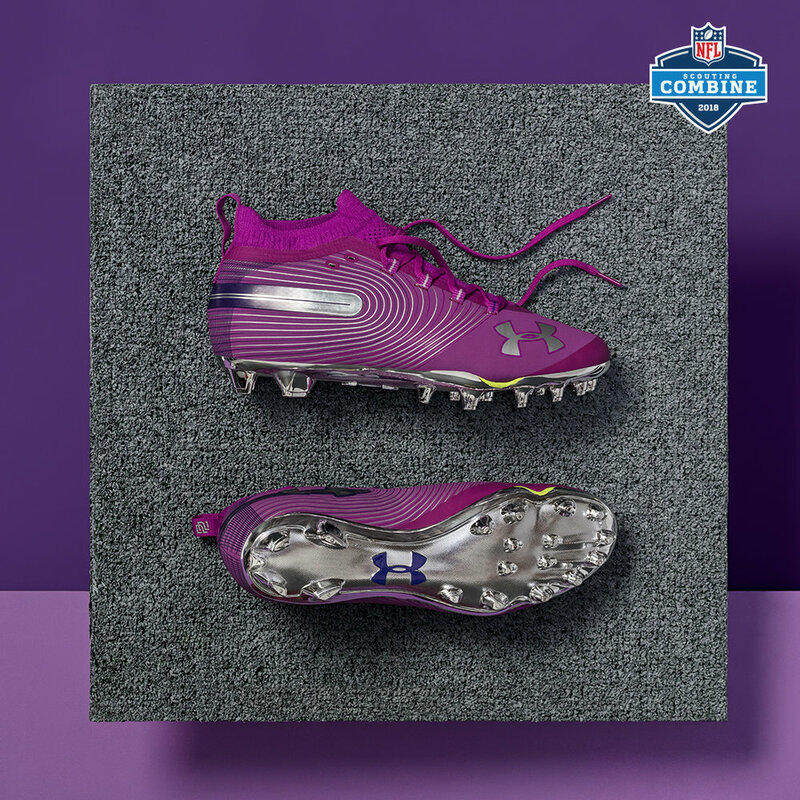 Players have the option to wear any brand of gloves and cleats when performing the drills but all compressions, shorts, shirts, jackets, etc will be Under Armour. All gear is available on the UA website.